It isn't currently built to run on a server. There are a bunch of unfinished things in the 1.13.2 build and some of it relies on Forge updates (such as key events being fixed). is there not a 1.12.2 version? 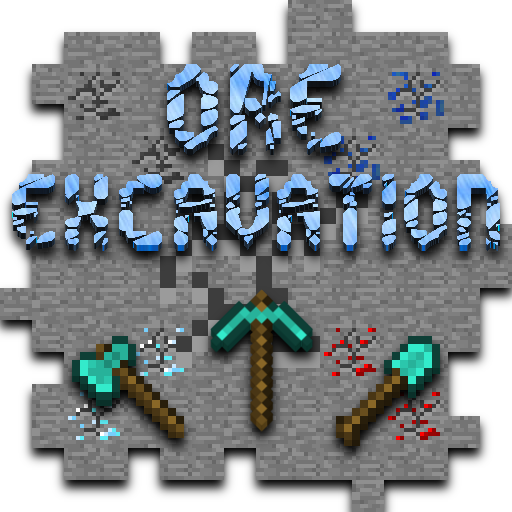 Since the config button in 1.13.2 is greyed out, and there is apparently no mod options button from Forge anymore, I have been editing the oreexcavation-common.toml with Notepad+ to remove the hunger from using the mod. However, every time I restart the game this resets. I find it odd that this resets, but me setting the key from "hotkey (which by the way I have no idea what the default hotkey is...)" to "sneak" doesn't get reset. Any idea why this would be? Is there a file somewhere that shows the default hotkeys/commands? I'm new to Minecraft modding and this has been a common frustration for me. No one ever seems to tell you the default hotkeys or commands. Someone keeping their mod up-to-date for 1.7.10? A rare sight. On behalf of the 1.7.10 modded community, sir, I thank you for doing your part to keep the 1.7.10 mods alive. What config option controls the loss of hunger and saturation points when ore excavating? Exaustion = 0 in oreexcavation-common.toml does it, but it keeps resetting for me even after I save it. Works fine for me, but when hosting server over LAN, the other people playing have issues with it not working. Sometimes it works on certain blocks and sometimes it doesnt. And sometimes it doesnt work at all. What is the undo command?? does it work for 1.12.2 on a server? Yes if the server also has it installed. New to modding I presume? i finally found how to make it work on my keyboard. but i have a problem, why is the pickaxes durability when mining so poor?? I don't make the pickaxes nor do I change the durability cost so I have no idea. it counts every block mined towards the items durability by default, so if you excavate entire cubic chunks at a time, then its going to shred your pickaxe. I found out that this mod and some others are incompatible with the later versions of forge for 1.13.2 and I can't find a forge where the shape excavate works. But the regular excavate does work in some older versions of 1.13.2 forge. For reference that beta build was built using forge 1.13.2-25.0.20 but I have no idea which versions work with it after that. I need to rework a bunch of stuff to work in later Forge builds but Better Questing is taking most of my attention at the moment so I have no ETA when I'll get around to that.